Health safety and Environment (HSE) practitioners have urged President Muhammadu Buhari to sign National Safety Bill into law. This, the group said, will aid enforcement of safety regulations in the country. The bill, which has since been passed by the seventh National Assembly, is rumoured to have been signed by into law but safety practitioners said the bill had remained on the president’s table for consent before the last general elections. The Director General of the Lagos State Safety Board, Mrs Dominga Odebunmi, said the speculation about the signing of the bill was fuelled by unconfirmed statement by officials of the Federal Ministry of Labour and Productivity. She said it could not be confirmed if the bill had become a law, since there had been no signed copy made available to the Lagos State government, which established the first safety body in the country. She added that safety practitioners also had no information about the status of the bill. 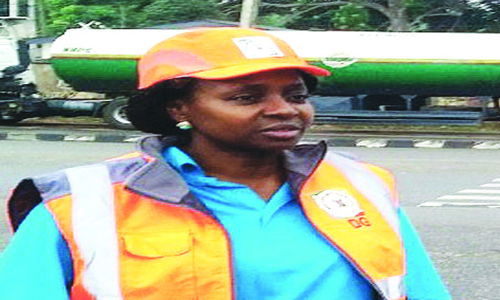 If President Buhari signs the bill into law, Odebunmi said, it would empower federal and state emergency response agencies to enforce regulations that would promote best international safety practices. She added the bill would play key role in preventing recurring industrial accidents, such of gas explosion and keep dangers away from work places. The Executive Director, Safety Advocacy and Empowerment Foundation (SAEF), Mr Jamiu Badmos, said economic growth of the nation is tied to the passage of the bill, noting that a safety law is needed to prevent needless loss of lives and properties. He said the Factory Act of 1990 could no longer guarantee safety and wellbeing of workers at their places of work, adding that there would be more job creation through establishment of State Safety Council if President Buhari signs the National Safety Bill.